We had a family outing on Saturday afternoon. We decided to go on a hike, so we drove to Brasstown Bald, the highest point in Georgia. We arrived just as the US Forest personnel were leaving for the day. On top of the mountain, the shop was closing and the flag was coming down. My children asked why the flag had to be taken down, so I gave them a mini-lesson on American flag etiquette. A few things popped to mind: don't fly flag during rainstorms, don't fly flag at night unless lit by spotlights, don't let flag touch the ground, fold the flag a certain way, etc. The Forestry workers asked the kids if they wanted to help, so they gladly, proudly joined in the flag folding. 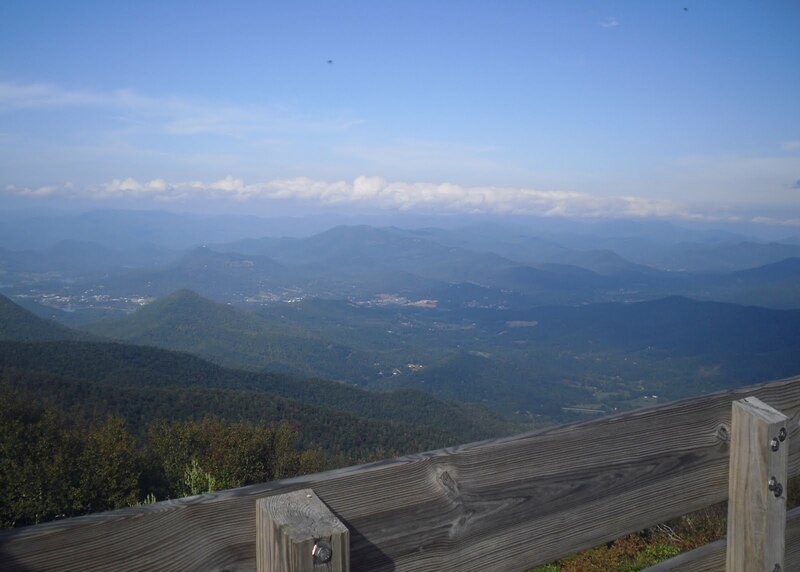 Casey, as part of First Language Lessons Level 4, memorized Afternoon on a Hill by Edna St. Vincent Millay. Will, as part of FLL Level 2, memorized The Goops. I'm glad they are back to memorizing poetry and Bible verses - it's been a while. Our nanny picked up my camera one day this past week and took this picture of Chaucer's hands. It's just so sweet, I had to post it! I decided to throw in a picture of Casey at karate. 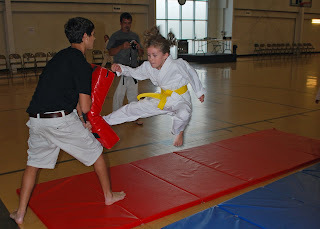 I had my camera in the car when I took the kids to karate on Tuesday, so I brought it in. I got some great shots, but this was my favorite. Sounds like a great week. I love the photo of your ds in the air. It sounds like you had a great week! 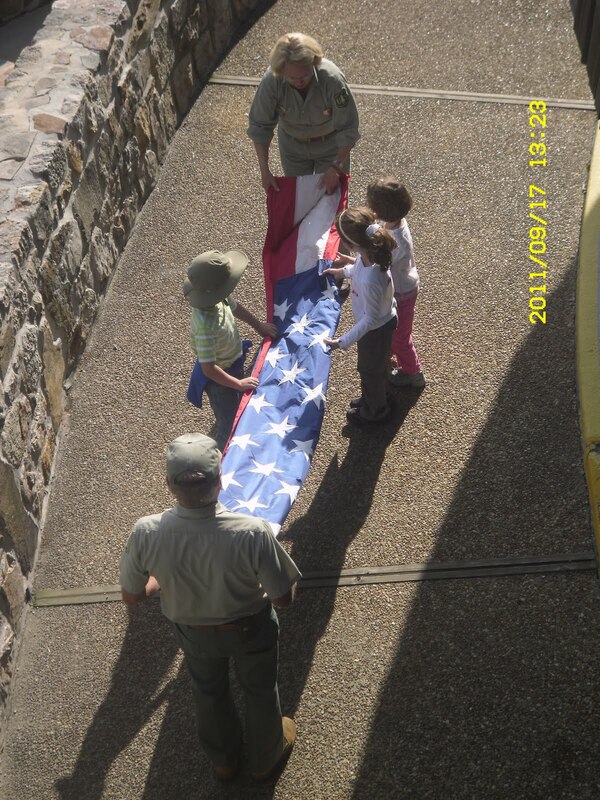 It's so neat they let the children help with the flag folding. Looks like you had a wonderful week. I bet they loved helping fold the flag! The hand pic is so sweet. Sometimes inprompto lessons are the best.